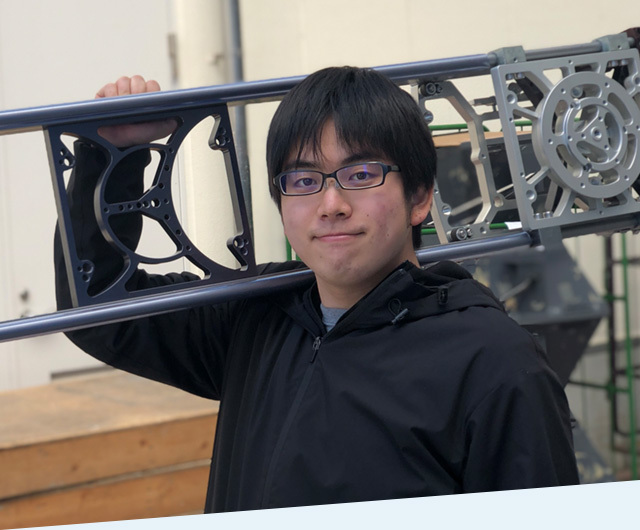 Our Employees - Taisi Kitazima｜SCREW INC.
My name is Taishi Kitajima, an assistant Grip at Screw Inc. This will be my 4th year at Screw. “Gripping” what a confusing work title! When I was a student, I had no idea what Gripping was. Everyone at some point in their lives watch a commercial on screen. I would like to suggest that you try watching, questioning how they shot it. You will realize that there will be many kind of shots where you have no idea how they shot it. “Gripping” is different from your typical tripod or camera. A dolly that smoothly moves the camera using raid. A crane that smoothly moves the camera from very low to very high. A stabilizer that moves the camera without any shake. These are equipment that moves with the camera. When filmmaking, it is very important to the viewers attention. These are things that can’t be explained through dialogue and actors movements but something you feel instinctively. The Key Grip are very skilled at this. There is a lot of fun in how you answer to the director and DPs request. At our company, we have many equipment that allows you to express a large scale of camera movement. Like my seniors, I would like to become more skilled and I aim to become a Key Grip. Let’s aim to become a professional Key Grip together!